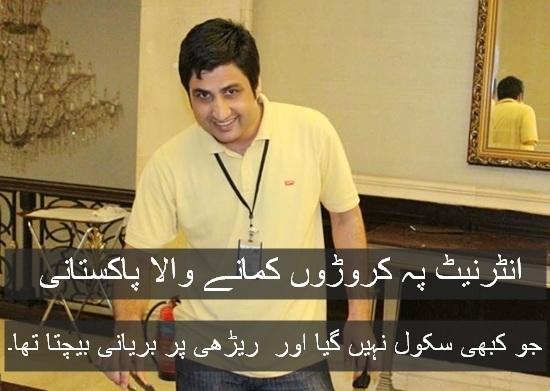 Abdul Wali is a famous Pakistani who is known for teaching online. He recently wrote an article about himself and the struggle he had done to achieve his goal. It is a very amazing story of a successful teenager Pakistani. 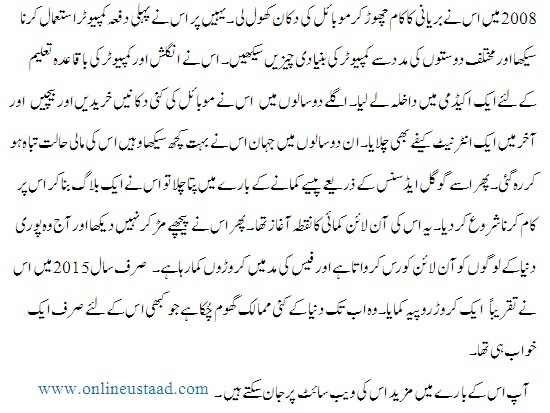 We brought this story in Urdu so most of the Pakistanis can learn something from his story. He wrote in his article that he started work at the age of seven by selling toys and shopping bags and never went to school. He also sold fruits and vegetables in Karachi. And from 2001 to 2008 he sold Biryani at a bus stop in Karachi. Then a turning point come to his life when he started learning English and computer passionately. Now he is teaching online and earning a handsome amount online.